Our little brothers can be troublemakers. We often have to bail them out of tough spots and set them straight when they’re treading the wrong path. But let’s admit it, they are also our partners-in-crime for everything. We can count on them and they brighten up our day with their humour. They’re always there for us, without a shadow of a doubt. You probably don’t say it, but you love your younger brother to bits, don’t you? So on this next birthday, show how much you care by getting them a present that is personal, unique and something that they’d always cherish. If you’re looking for birthday gifts, here are some amazing gifts for your younger brother to show him how much you love him (only sometimes though)! If your brother is a gamer, the ideal birthday gift for him will be the New Nintendo 2DS XL. It has got better with its 3D graphics and now it comes in a thinner build. Every time he is playing Super Smash Bros., he will remember how cool his elder sister is! Price: Rs 21,990. Buy it here. Little brothers love to prove that they're the most innocent ones in the family, isn’t it? If you have a cheeky younger brother who loves to be in the good books of everyone in the family, then gift him this royal blue tee that reads 'Seedha Saadha Ladka'. He'll love the sarcasm and everyone else around him will appreciate the humour, too! Price: Rs 299. But it here. Never on time, is he? On his birthday, gift him a sturdy, shock-resistant G-shock watch with mineral glass. He can be carefree as the watch is water resistant as well. Whether he's out in the rain or his hand hits somewhere, the watch will always be safe. Price: Rs 8,795. Buy it here. Sneakers are the most comfortable shoes, don’t you agree? This pair of Vans offers a contemporary twist to the classic canvas shoes. So, if you're planning to buy him shoes, you know exactly what to pick. These ones in black will go with almost everything he has in his wardrobe. Price: Rs 4,084. Buy it here. Winter is coming! Pair up those shoes above with this cool and comfy hoodie by US Polo and help him style his look like a pro. You are, after all, the more fashionable one of the two! Price: 1,359. Buy it here. Doesn't your brother wait for that moment when he's home alone, so he can call his friends and girlfriends over? On his birthday, gift him this ultra-quirky and uber cool doormat that’s full of humour and style. The doormat comes with anti-slip vinyl backing to make sure no one slips on it. Also, it'll make ‘welcome’ for his friends a little more special. If he dresses to be noticed in college, then this is the pair for him. 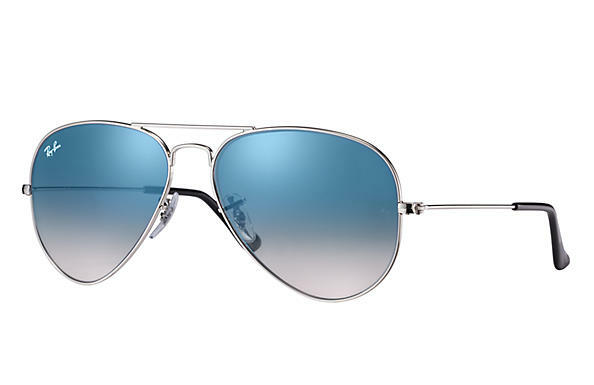 Perfect for outdoor application, these stylish shades provide good colour recognition and protect you against glare and extra brightness. Are you still thinking? Go, grab them for your younger brother! Price: Rs 6,291. Buy it here. Whether or not he wants to, your younger brother has to carry books to college. Go for this black Nike backpack that has multiple zipper compartments, so he can walk into class with swag. The cushion in the slings will ensure that his kandhe don’t feel the bhari bhoj! Price: Rs 1,397. Buy it here. He can’t have enough these, so the more, the better. Levi’s is one of the most popular brands for men jeans, and trust me when I say this, your younger brother needs them (even if he thinks he has a closet full of clothes). Price: Rs 2,699. Buy it here. If your brother is a college student, he'd probably spend a lot of time commuting in the metro. Gift him a pair of earphones to spare him from the boredom and noise. This pair of Skullcandy earphones that are designed to entertain and built to last. They come with a microphone, so he wouldn't have to keep unplugging them to attend a call. He may be your younger brother, but he's a grown-up man now. If he's working, then the ideal birthday gift will be a laptop bag that protects his most prized possession. This laptop sleeve from POPxo is compact enough to be put in a backpack. It’ll be a perfect companion even if he wishes to use it as a standalone accessory on airport transits, office and conferences. Price: Rs 999. But it here. Gift your little brother this super cool leather wallet from Hidesign. It is a classic and practical accessory handcrafted from the smooth leather with contrast stitch details. It has seven card slots, an ID window, two note sections and two slip pockets for your loose change. Price: Rs 1,186. Buy it here. Calvin Klein CK Be is a distinctive fragrance enrobed in transparent white musk, toned by a spicy juniper note and tonic accords of mint and tangerine. Let him smell like a dream! Price: Rs 1,675. Buy it here. Power banks are one of the most practical gadgets. The world is on our phone and to be constantly connected to it, we need the battery. Gift your sibling this Mi power back, so he can charge his phone anywhere and anytime without stressing over a plug point. Your brother may have to dress up in formals every day, if not, at least for meetings and conferences. This black Satya Paul tie will go well with his suits and he can wear it to work and even at formal parties. He'll surely love this one! Price: Rs 650. Buy it here. If your brother loves to play basketball, then buy him one to promote the budding player in him. This basketball from Nike has a tough and durable, textured rubber cover for superb handling and grip. It is one of the best basketballs and it comes in size 7. Price: Rs 1,179. But it here. If he loves to play football as much as he loves to watch it on TV, then gift him this pair of black studs from Adidas on his birthday, made with soft, lightweight material. These are shaped to one's foot for the ultimate ball control. They have superior ball control on the firm ground, artificial grass and hard ground. These are a great pick! If your younger brother is a ManU fan, then gift him this jersey on his birthday. Made of breathable, quick-dry fabric that moves heat and moisture away from the body, the jersey sports the Manchester United Club Crest embroidered on the front. Price: Rs 3,299. But it here. If your younger brother is a sporty kid, then he'd sweat on the court or ground a lot. Gift him a sipper bottle that he can carry with himself to keep him hydrated. He can even take electrolyte in it. Get him this black sipper from Nike that has a leak-proof sipper on the top. Price: Rs 510. Buy it here. Does your brother have a Sachin Tendulkar poster on his wall? If your younger brother is always dreaming the Dhoni dream, then gift him a cricket kit and let nothing come in the way of his desires. Price: Rs 4,652. Buy it here. Is your brother an Avengers fan? If his favourite character from Marvel is the Hulk, then you have to buy this for him. With every cup of coffee, he will know that his sister knows him best. Superhero fans are obsessed with posters of their favourites on the wall of their room. If your younger brother too is an ardent fan of the Marvel Universe, then gift him these posters for his birthday. Let him show off his superhero love with these. Price: Rs 199. Buy it here. If he is in the DC club, then it's impossible for him not to love Batman. Gift him this Batman phone cover and let dark knight protect and guard his phone against bumps, drops and scratches. Price: Rs 429. Buy it here. This Dark Knight velvet cushion is another piece of merch that help him embrace his love for Batman. We all need a superhero in our life, don’t we? Let him be his own. Price: Rs 999. Buy it here. Fuel your younger brother imagination by gifting him this Iron Man tee on his birthday. It is made of single jersey polyester and can be worn in any weather. May the Stark be with him, always! Price: Rs 250. Buy it here. The Harry Potter series needs no introduction. If your younger brother is a Potterhead, then he needs a beautiful set of his own (if he doesn’t have one already). Yes, Kindle doesn’t count. The thrill of turning a page and getting lost in the world of magic is inexplicable, so gift him the experience on his birthday. Price: Rs 6,109. Buy it here. 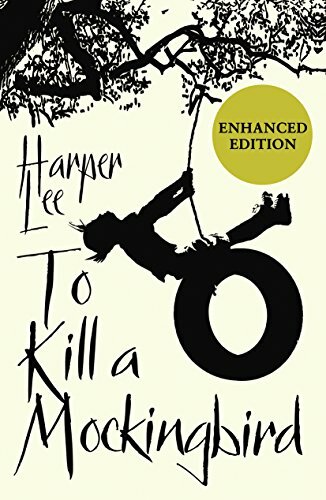 To Kill a Mockingbird is a coming-of-age story, an anti-racist novel, a historical drama of the Great Depression and a sublime example of the Southern writing tradition. Written by Harper Lee, it is one of the definitive novels of the 20th century. If your younger brother is an avid reader, then you must gift him this book. Price: Rs 145. Buy it here. One of English literature classic masterpieces, Wuthering Heights is a gripping novel of love, propriety, and tragedy. It was nominated as one of America’s best-loved novels. 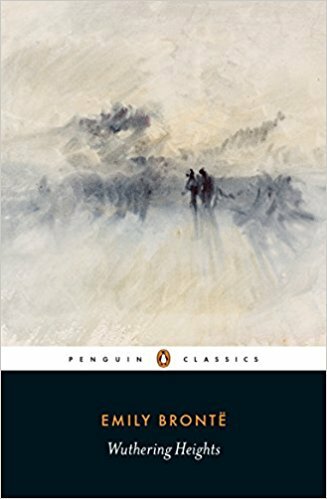 If you wish you acquaint your brother with the classics, then gift him this book written by Emily Bronte. It is one of those books one must read in their lifetime. Price: Rs 185. Buy it here. If your younger brother is a voracious reader, then he's love to explore the world of comics. And what better than Archies to start with? 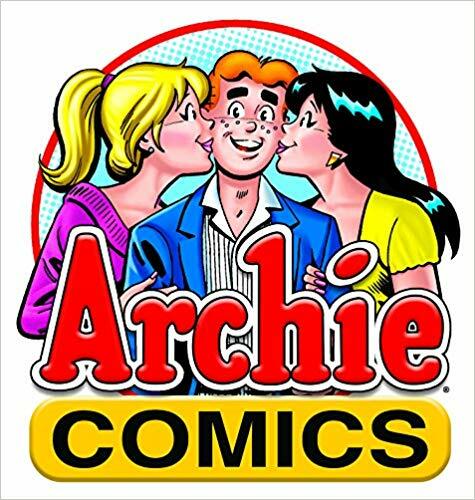 Gift him a collection of Archies books and open the doors of humour, wit and fun to him. This set consists of 100 comic books. He'll forever be thankful to you for this amazing birthday present. Price: Rs 2,929. Buy it here. The Hobbit is a tale of high adventure, undertaken by a company of dwarves in search of dragon-guarded gold. 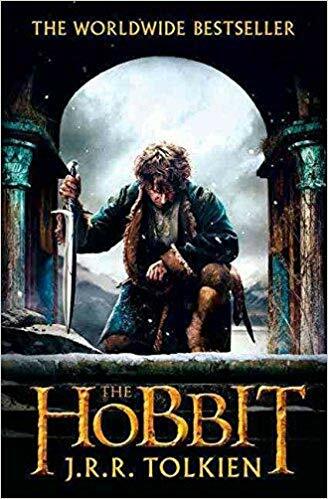 Written by JRR Tolkien, the book takes you to an imaginary land where there are encounters with trolls, goblins, dwarves, elves and giant spiders, conversations with the dragon and much more. If he falls in love with the world of hobbits, you can follow it up with The Lord Of The Rings series. Looking for more options? Read POPxo’s list of 100 books to read in a lifetime. Click here. Is your brother a fitness enthusiast who sweats buckets in the gym? Then the ideal gift for him on his birthday would be the Fitbit Surge. This heart rate and fitness wristband is built for workouts and beyond. It's all the motivation he needs to push his fitness goals further. Also, he can make the most of his day by getting more out of your night as Surge automatically monitors how long and how well you sleep. Price: Rs 18,500. Buy it here. The Apple Watch is a statement, don't you agree? It's more than just a basic watch that tells time. Buy him one on his birthday and let him make the best of it. He can monitor his health, track his workouts, get the motivation to achieve fitness goals and stay connected to the people he's close to. Price: Rs 29,900. Buy it here. What better than a PS4 as a birthday gift? 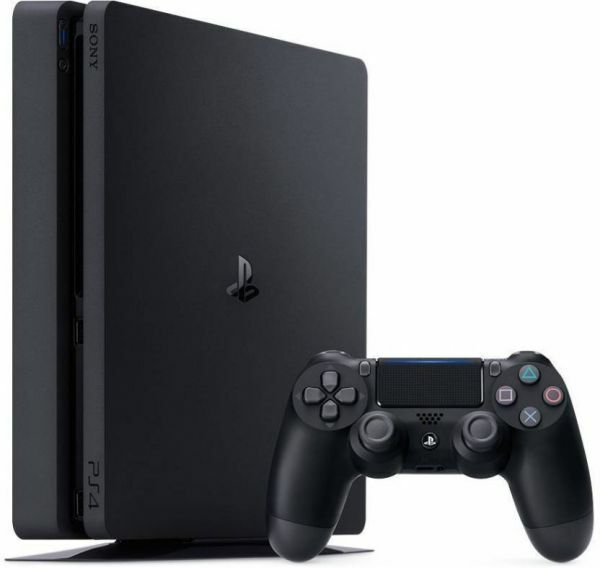 Let him ride into a battle, swing through the city, save the day and be a hero by owning a PS4. He can play exciting games, take all the adventures online and store his games. I bet you're going to get hugs for gifting him a PS4. Price: Rs 31,990. Buy it here. A music lover in the house will appreciate the Bose SoundLink Revolve speaker that delivers 360 degrees sound for consistent, uniform coverage. What’s more? Make a playlist with his favourite songs on Apple music and play it for him on his birthday! Price: Rs 19,900. Buy it here. Looking for a gift that you can use, too? Get your younger brother the Amazon Fire Stick on his birthday. 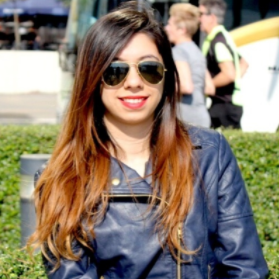 As soon as he connects the Fire Stick to his HDTV, he can get access to thousands of Bollywood and Hollywood movies, games, TV shows and much more. He will love the gift and your entire family can reap the benefits too! Price: Rs 3,999. Buy it here.